I’m getting a little weary of all this smart home talk. It’s not that I’m averse to that technology or unaware of its increasing role in the home environment. In fact, I’m kind of a geek about it. But after three days of being inundated with “smart this” and “connected that” at the 2019 International Builders’ Show, it’s the messaging that has me worked up. Simply, many of those selling smart home products and systems—be it appliances, toilets, water sensors, bath fans, or barbecue grills—tend to overstate the consumer demand and willingness to pay extra for smart stuff, at least within a new-home purchase. And with that, the implication that builders who fail to heed that message will end up on the scrap heap of housing’s future. If your homes aren’t smart, you’re dumb. Time out. I’ve looked deeply and widely into consumer preference research about smart home technologies and have come away with two current conclusions: Mainstream demand for smart (actually “connected,” and there’s a difference) products for the home is limited to TVs, computers, and gaming devices, and sales of those and other such products—including voice assistants (now in half of all homes), video doorbells, and thermostats—exist almost entirely in the aftermarket, long after close of escrow and incrementally beyond that. Bonus track: Consumers don’t expect home builders to serve as their smart home conduits. 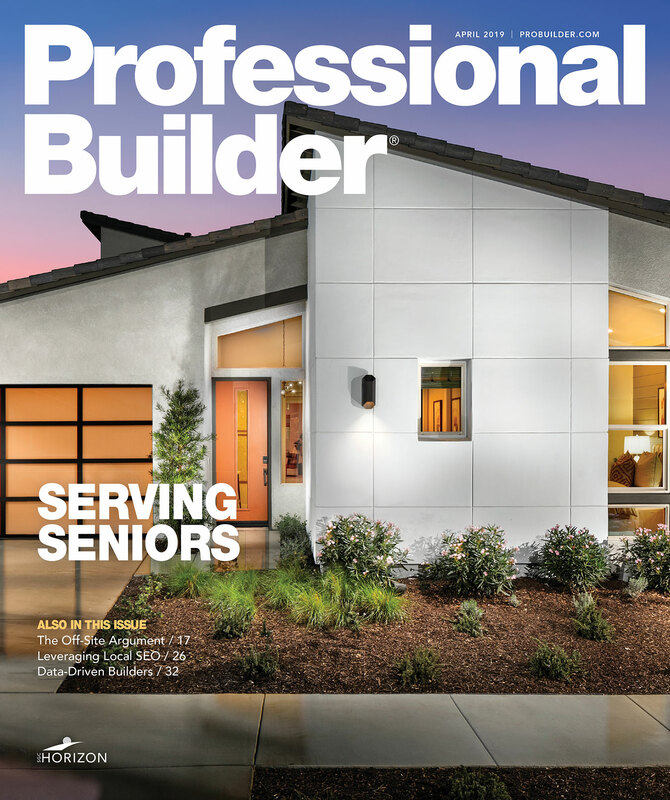 As we reported last May in “How to Build Smart Homes,” it seems the primary role for builders in the smart/connected home realm is to enable a robust and scalable Wi-Fi signal within and around the house. That way, your buyers can choose their internet service provider, plug-and-play their choice of devices and brands, and expand that system based on needs, whims, and budget at their own pace. And, you can promote that provision to differentiate your homes from low-tech, weak-signal resales. After all, you won’t be around when buyers actually connect and opt-in to share their lives with those smart home device makers, and you have no stake in that relationship. And really, do you want one? Of course, a growing number of builders have gone further, providing (and ideally curating, based on local market demand) a starter kit of “popular” connected devices, though remaining out of the data-sharing loop. If you think it’ll sell some homes, and you’re confident in those specs and ability to support them, you’re playing ahead. All I’m saying is, be aware (and wary) of the hype, listen to your buyers, and provide a superior backbone. In other words, be smart.